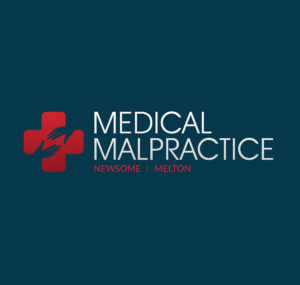 Medical Malpractice Help » Medical Malpractice Causes » Legal Information » What Is Comparative Negligence & How Does It Apply To Medical Malpractice In Florida? Comparative negligence applies when a patient shares some of the blame for their injuries. Florida is a pure comparative negligence state. Under Florida law, the claimant and defendant can share fault in a medical malpractice case. If the claimant contributed to their own injuries, their compensation from the defendant is reduced in proportion to their blame. Even if the fault is shared, a claimant will receive some compensation for their damages, even if their share of liability exceeds 50 percent. At Medical Malpractice Help, we can help you understand what comparative negligence is and how it applies to medical malpractice in Florida. Call 855-633-2757 today to speak to a Florida medical malpractice lawyer. How Does Comparative Negligence Work in a Malpractice Case? In Florida, each party is liable based on their percentage of fault. This also applies to damages for a personal injury or wrongful death that occurred due to medical negligence, even if the at-fault party is a teaching hospital or a board of trustees of a state university. To understand how comparative negligence works in Florida and how it influences the damages a victim can recover, it helps to envision a real-world scenario. Imagine a patient who visits a surgeon for a relatively minor procedure, such as an appendectomy or gallbladder removal. The patient has the surgery, returns home to recover, and, after a few days, begins experiencing complications. Upon returning to the hospital, the patient learns that his surgical wound had become infected and he needs emergency intervention to address the problem and prevent further damage. He also learns that his surgeon used a type of treatment on his wound that caused an allergic reaction. Missing extra work to recover. The patient files a medical malpractice lawsuit against the surgeon, seeking $50,000 in damages. In this example, if the patient failed to tell his surgeon about his allergy, he shares some of the blame for the infection. However, if the surgeon fell short of taking reasonable precautions to keep the patient safe from harm, she also shares liability for the patient’s damages. In a case like this, a judge would decide on each party’s degree of fault. After weighing both sides, the judge rules that both doctor and patient bear liability for what happened. The judge assigns the doctor 50 percent of the blame and the patient 50 percent, as well. The patient is still eligible for compensation from the surgeon. However, rather than receiving the full $50,000 he requested, the patient will only receive 50 percent of that award. That would leave him with $25,000. What If I Am More Than 50 Percent at Fault for My Injuries? Unlike some other states, Florida allows claimants to recover damages regardless of their degree of fault. That means, even if you were mostly to blame for your injuries, you can still recover some compensation. If in the above example, the judge deemed the patient 90 percent at fault for his injuries, he could still recover damages from the surgeon. In this case, the surgeon would only be 10 percent at fault for the patient’s infection and complications. Even though the claimant in this revised scenario is almost completely at fault, he is still eligible to recover compensation for the 10 percent of blame determined to rest with the doctor. Accordingly, the patient would be eligible for $2,500 in damages. How Can I Set up a Free Case Evaluation With a Florida Medical Malpractice Attorney? The Medical Malpractice Help legal team can fight for the full value of damages available in your case. Our goal is to get you the compensation you deserve. Even if you were partially to blame for your illness or injuries, you could still qualify for a financial settlement from the at-fault doctor. Depending on the details of your situation, you could qualify for compensatory damages and punitive damages. For a free case evaluation with one of our attorneys, call our office at 855-633-2757.